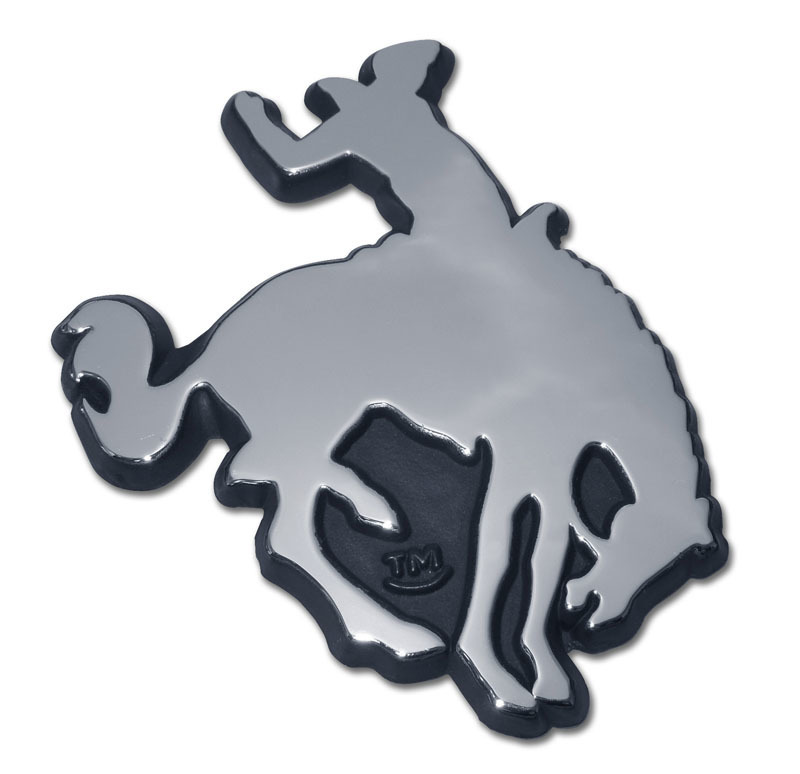 Bucking Bronco horse cowboy chrome plated metal auto emblem. We utilize a double sided 3M foam automotive tape for easy, long lasting, paint safe attachment. They will not rust or fade! Wax twice a year. Made in the USA. Size: 3.5" x 2.75" FREE SHIPPING!